NOTICE: LUNAR SCOOTERS LLC. IS NOT RESPONSIBLE/LIABLE FOR ANY WORK YOU DO ON YOUR SCOOTERS. BY PURCHASING THIS KIT YOU INDEMNIFY LUNAR SCOOTERS LLC. YOU ARE 100% RESPONSIBLE FOR THE INSTALLATION OF THE KIT. You are looking at the highest upgrade you can possible do to your 36 volt electric scooter. Whether you have the Lunar Scooter 1000 or the Lunar Scooter 1200 standard this huge performance upgrade will work for your machine. 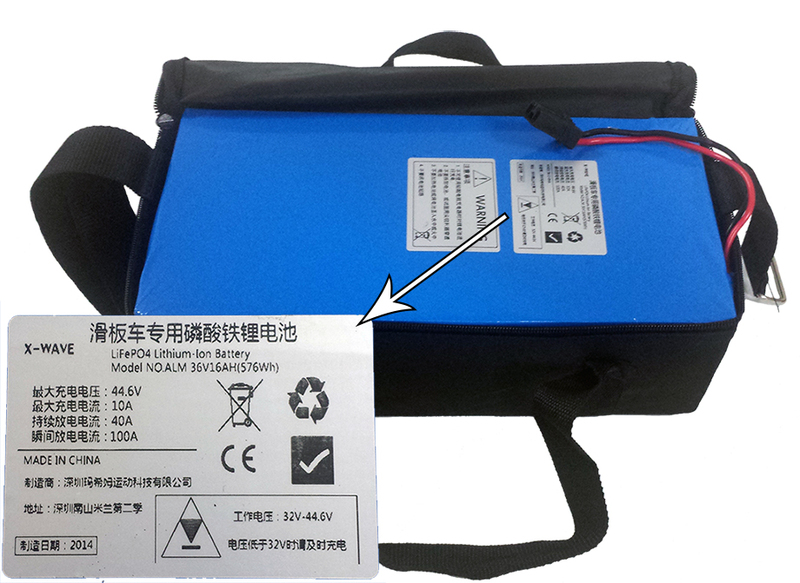 This powerful 36volt, 16amp LiFePo4 battery pack is so amazing. 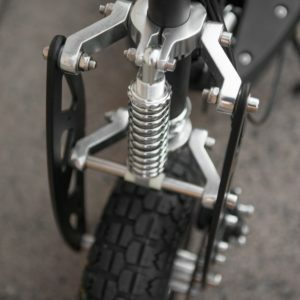 It is lightweight weighing in at only a mere 12 lbs, and can get an astonishing range up to 26 miles on a single charge (double that of lead-acid batteries), it rides at full speed 95% of the charge (versus full speed at only 50% of the charge with lead-acid batteries), you will get up to 1500 charges on the life of the battery pack (versus 750 with the best deep cell lead acid batteries) and you get about 30% more takeoff speed and climbing hill power with Lithium battery. This conversion kit is valued over 650.00 dollars. The battery pack alone is valued at $500. 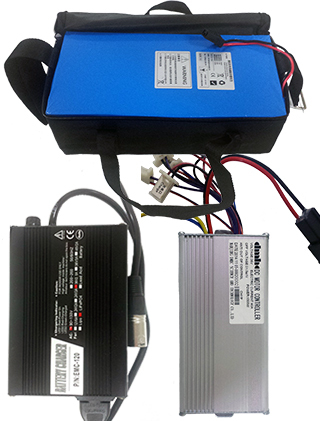 This conversion kit includes the Plug Ready LiFePo4 battery pack with connector cable and carrying bag, it comes with the quick charging LiPo Charger. We will include for FREE the $20 External Charging Adapter so you can charge the battery pack without putting the battery in your scooter. 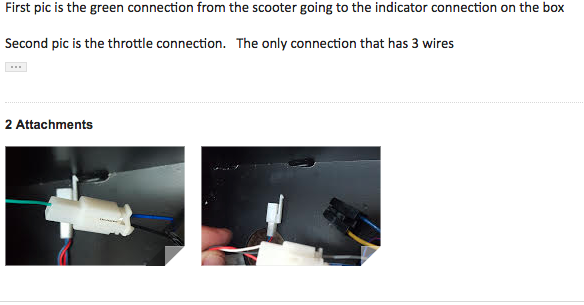 Lastly, this conversion kit will come with the Hi-Tech 1500watt 40amp Control Box to give you, even more, power & to ensure your controller in your current scooter is not underpowered or will not overheat. 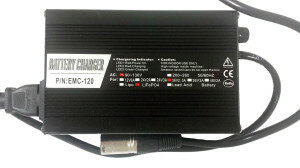 This 1500watt controller will give you more speed and torque also. 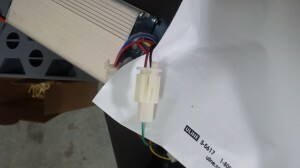 This new 1500watt controller has a double blue connection for our Econo / Turbo throttles that you can see on our website if you want to buy this upgraded throttle. 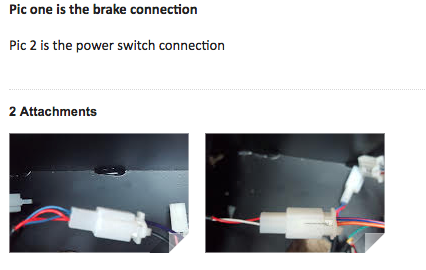 If you want to leave your own throttle just leave this connection empty. So go ahead and swap out your old batteries and switch out to the all-new Lithium technology. Or buy the brand new 2015 Lunar Scooter Lithium scooter for just $999 and start riding today. 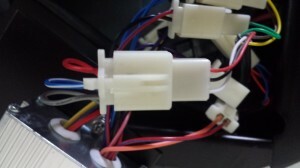 IMPORTANT: If you do not have the Econo / turbo throttle with the red button on your throttle then you leave the double blue wire connection empty on the control box. ASK US ABOUT BEING EMAILED A DETAILED WIRE HOOK UP. 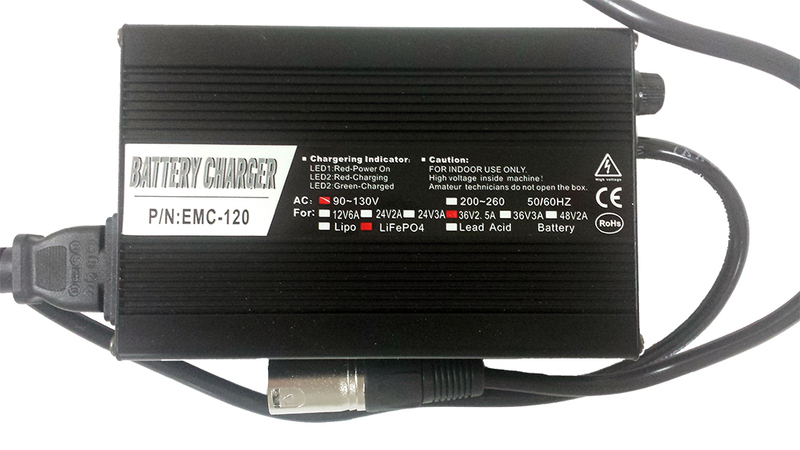 Be the first to review “Lithium Conversion Kit” Click here to cancel reply.